A HDMI Cable 50ft is one of the longer HDMI cords and for those of us who don’t like their cables showing out in the open. 50 feet HDMI cables allow for adding multiple bends while the cable goes around the nooks and crannies of the place. 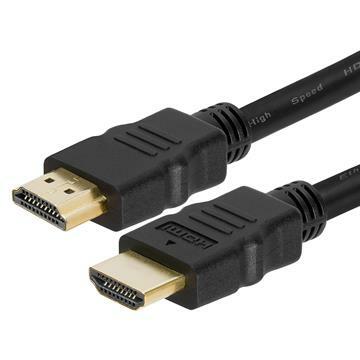 Due to the quality of this 50 ft HDMI cord, the length doesn’t impact its speed. Expect the same performance and choose from the vast variety of colors.